I wrote about it early last month in the tone of, “hey, check out what Google’s doing sometimes.” Well, when I wrote about it the first time, answer boxes were only showing a small percentage of the time. And, sure, people were talking about “Knowledge Graph this” and “Rich Snippets that” but it just seemed to be a neat thing that happened here and there. Well, according to Dr. Pete’s post, Google recently increased the number of answer boxes 98% (from September 25th to the 26th). That’s a huge jump. His post goes on to mention that while many answers seem to be supplied by Wikipedia, a lot of queries are also showing answer boxes populated from Google’s own index. While this might not seem like a big deal, you can’t deny this is going to wreak havoc on overall click-through rates (CTR) across the SERPs. In fact, it most likely already is. In a September 2012 article by Dave Chaffey regarding click-through rate comparison on Google, he provides data on how important it is to show up within the top 3 spots on a SERP. Again, this information really concerns organic and paid listings (in the UK search market)…but it shows the importance of showing up in that oh-so-coveted real estate everyone wants: the top of the search results page. In 2012 (using data collected in 2011), Kantar Media/Compete found in their study that over 40% more people click on “the first result” on the page. Product Searches & Brand Searches & Longtail Searches, Oh My! In this study from July 2012, users’ click data is broken down based on types of keywords: product-specific, branded terms, long-tail keywords and general queries. So it’s obvious users click — or not — based on their intent. So, what do all these (older) studies have to do with what’s happening now? 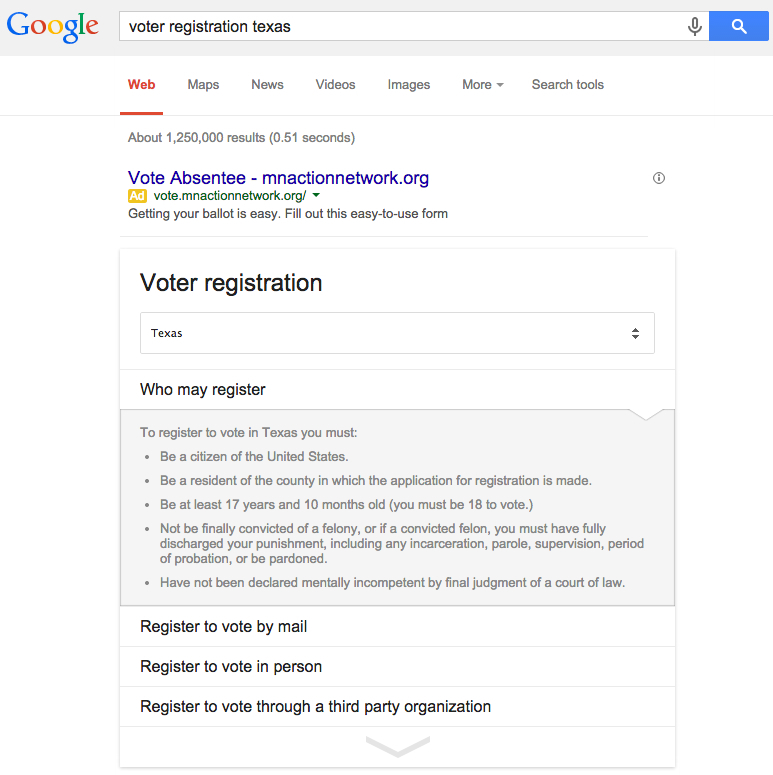 Well, Google’s answer boxes tend to show up right at the tippy-top of the results page, that’s what. Studies like those mentioned will have to be re-evaluated now that the SERPs have changed so drastically and “position” has become a relative term. “In the old days you got the 10 blue. And maybe some side ads. It was easy to track and see that #1 got a lot more clicks per impression. This is well documented. As is the fact that having a PPC ad would effect your natural CTR at that time. Obviously Larry’s quote is about organic listings and ad click-through rates…but with the addition (and growing increase) of Google answer boxes, one has to wonder: how are THEY affecting overall CTR on a SERP? Especially when users’ questions might be answered right there IN the SERP. Part of the study focused on the intent of a user’s query — what’re they actually searching for? But, what needs to be examined now is how trying to cater to the user right in the SERP is changing everything we’re used to in search marketing. Rich Snippets. Knowledge Graph. Answer Boxes. What? What I’m discussing here seems to be old hat, since these studies were performed “in the ago” (from 2 years to almost 3 months ago), and rich snippets and the knowledge graph have been evolving for some time. 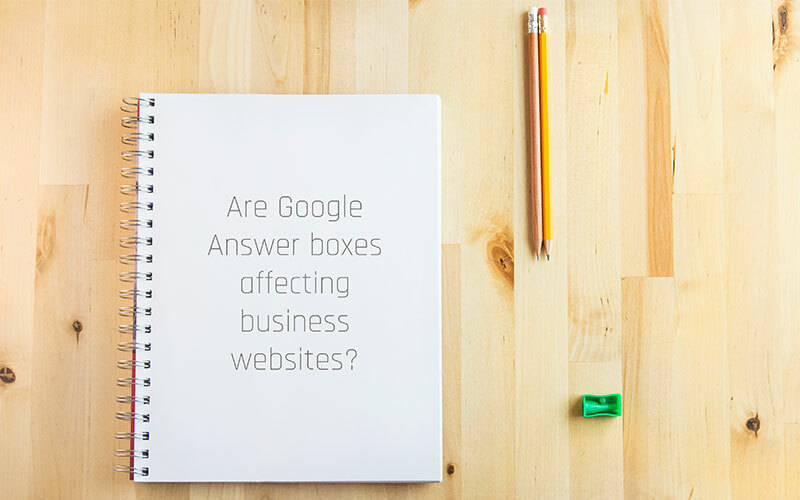 But the fact of the matter is this: Google’s recent — and drastic — increase in the amount of answer box displays has just begun a snowball effect online. As search marketers we have to be aware of how this “instant gratification search” will change the game. See, we’re not merely fighting for the best real estate or positioning to get a click anymore; now we’re going to have to worry about anyone clicking…at all. On anything. Why would users click through to a website when Google’s supplying the answer right there on the SERP in the form of these answer boxes? “I’m not worried about Google’s structured snippets, nor am I concerned about Google pulling answers from pages and showing them in search results. (*Tangent: I get it. 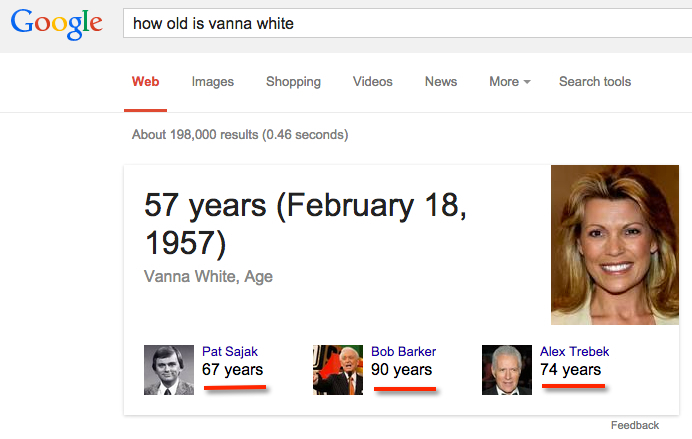 How many businesses are trying to show up for “how old is Vanna White” in order to make money? a) an answer box can now show up for just about any keyword search — not just those that ask a direct question. b) answer boxes aren’t just static entities anymore, they’re becoming interactive. Not only does the information within the box itself change — so does the original search query. Whoa. We’re kind of getting into uncharted territory here. So what? So I chose to use the answer box information over visiting the business website. Why? Because it’s easier… and quicker! No big deal, right? I mean, we were already “converting” by ordering from them in the first place. 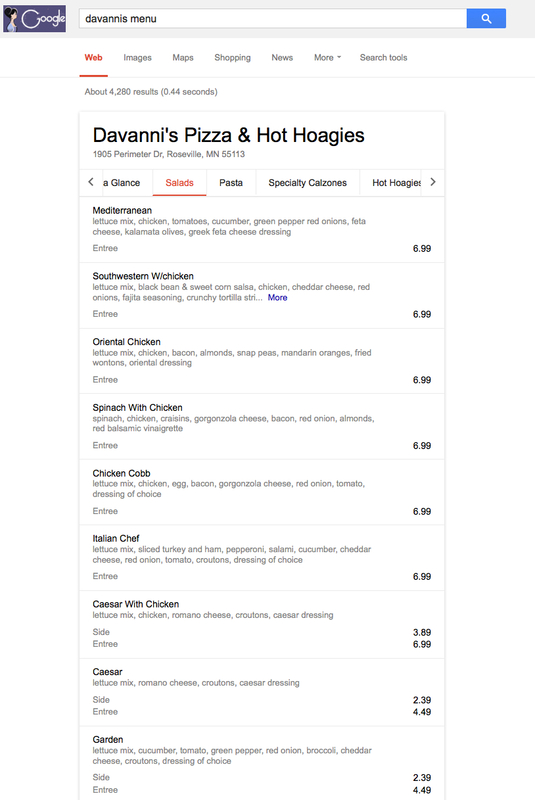 But wait…how does this affect Davanni’s? How do they know I found what I needed? Or that I was a conversion? Or that I even searched for them in the first place? I’m assuming they’re unable to measure click rates WITHIN the answer box in the SERP (I clicked on Salads). Hell, Google Analytics can’t (won’t?) even measure scrolling within a website; you know they’re not able to measure actions taken within an answer box. 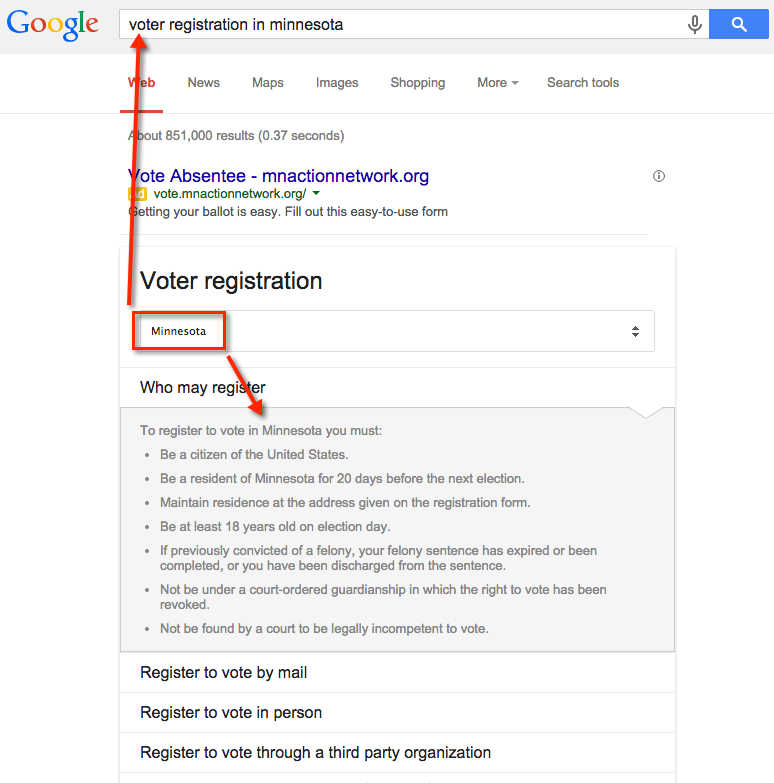 And, here’s a bigger question: where did Google pull this information from, anyway??? 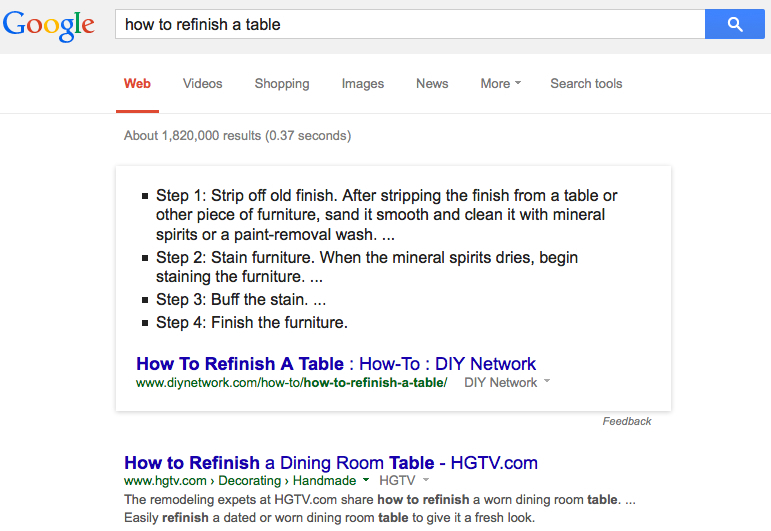 So…are Google Answer Boxes Affecting SERP CTR? In a word: yes. We know there’s only a certain amount of click per search results page. As new elements are added, they take away clicks from existing listings. We’re less than two weeks into this new-fangled “this is the way it is now” search, yet I’m surprised no one’s commented on how click-through rates for any part of the SERP (paid, organic, etc.) are going to be affected by these answer boxes, now showing frequently and — often — in the #1 “position” on the page. Is this a new topic? No…but what IS new is the frequency with which these answer boxes are now showing up. For all types of queries; not just oddball, random or “quick I need an answer” searches. We don’t really know (yet) how these changing answer boxes — especially the interactive ones — will change how people search, or even interact with business websites. Obviously, for user experience, this type of SERP is fantastic. But the full extent of how it’s going to affect search marketers — and the businesses paying them — remains to be seen. And, of course, there’s the possible “legality” of where Google’s scraping information from, how it’s presented, who gets credit, etc. etc. etc. Which is, of course, a discussion in and of itself! How have you seen answer boxes affecting SERP click-through rates?